We’re north of Sacramento, conveniently located just off Highway 99. We’ve got a great selection of cars and trucks that are waiting just for you. Drive over and check out our selection. Better yet, take your favorite vehicle out for a test drive. We’ll work hard to get you into the car or truck you want at a price you’ll love, John L Sullivan Dodge Chrysler Jeep Ram in Yuba City has a number of qualified salesmen that are waiting to help you drive off the lot in the car of your dreams. 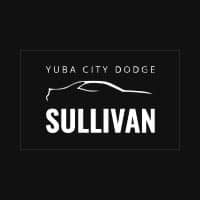 No matter where you are in the Yuba City area, John L. Sullivan Dodge Chrysler Jeep Ram is just a short ride away.